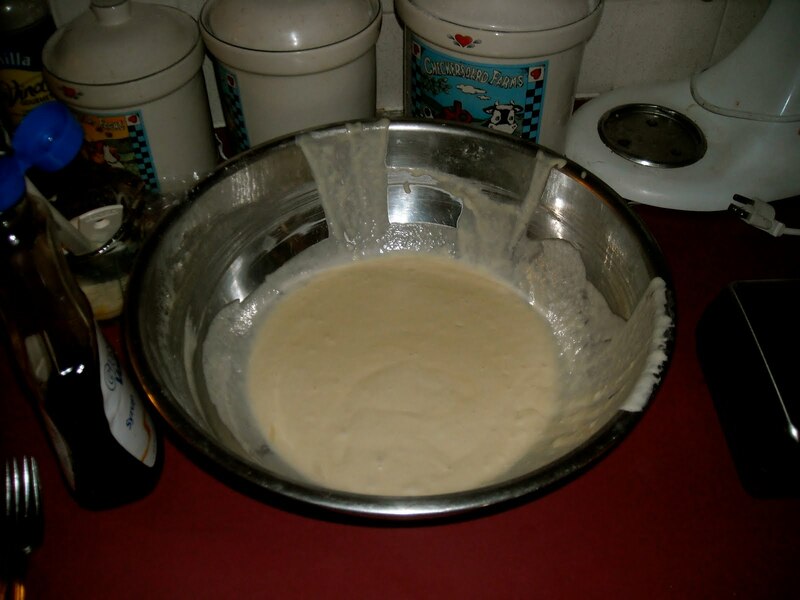 This is what the batter looks like after I added the eggs and baking soda…ready for the griddle. Waffles turned out great….however, my children tend to be fuddy-duddies and didn’t even want to try the Cinnamon Syrup. I found it to be d e l i c i o u s….mmm.